50 people still unaccounted for in Nairobi attack: Kenya Red Cross - SABC News - Breaking news, special reports, world, business, sport coverage of all South African current events. Africa's news leader. President Uhuru Kenyatta announced that the attackers had been eliminated and the operation inside the buildings called off. The Kenya Red Cross says 50 people believed to have been in a hotel and office complex that was attacked by gunmen in Nairobi, are still unaccounted for. So far, 14 people have been confirmed dead. Kenyan police say they killed all five attackers. Meanwhile, the SA International Relations Department says a man holding dual South African and UK citizenship is among 14 people who died in the attack. Earlier Kenya’s President, Uhuru Kenyatta, says 700 people were safely evacuated from 14 Riverside Drive in Nairobi, the scene of a terror attack on Tuesday. The Somali-based militant group, al-Shabaab, has claimed responsibility for the attack that targeted a hotel and office complex in an upmarket residential area in Nairobi. Several hours after gunmen attacked the office and hotel complex, President Kenyatta announced that the attackers had been eliminated and the operation inside the buildings called off. “I can now confirm that the security operation at Dusit complex is over and all the terrorists eliminated. I can now confirm that 14 innocent lives were lost through the hands of the murderous terrorists with others injured,” says Kenyatta. He did not, however, give the identities or the number of assailants who carried out the attack, which he described as cowardly. Among the 14 people killed were 11 Kenyans, a Briton and an American. 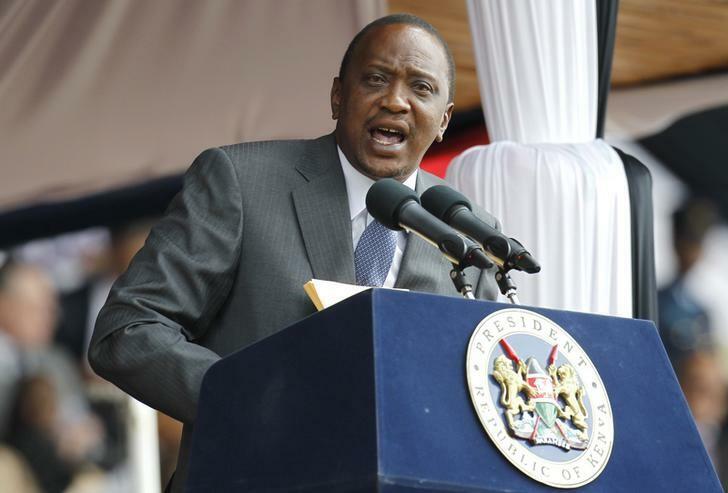 President Kenyatta hailed the rescue efforts. The attack began late afternoon when gunmen shot their way into the building, with an explosion at a parking lot and a suicide attack at the foyer of the DusitD2 Hotel. Kenya hosts a lot of expatriates and is an economic hub in the region. The complex hosted several local and international business and organisations. Among those who were killed were two employees of the Somali Stability Fund, their relatives gathered at the mortuary in preparation for their burial later Wednesday. The al-Shabaab militant group has targeted Kenya severally since it sent its military to Somalia in 2011 – the most recent being an attack at the Garissa University in which more than 100 University students were killed and the Westgate Mall in Nairobi where 67 people were killed. The attacks have in the past badly dented Kenya’s tourism earnings. Kenyatta was quick to reassure visitors. This entry was posted on 16 Jan 2019,08:31PM at 8:31 PM and is filed under Africa, News, Homepage Featured Story Slider. You can follow any responses to this entry through the RSS 2.0 feed. Both comments and pings are currently closed.